Clock Repair has been our business since 1960. Servicing the Phoenix Area, as well as all of Arizona, the Clock Doctor has been focused on timepiece maintenance and clock upkeep. Clocks are more than furniture, they are works of art. Unlike art, clocks must be maintained and serviced to insure accuracy. The repair services we offer are handled by our highly qualified staff to protect your clock and it's delicate inner-workings. Give us a call at (480) 951-8994 and we can answer any questions! The clock's mechanisims need to be maintained to insure long life as well as accuracy. Navigating through all of the small gears and intricate movements is a unique skill, and one that we pride our selves on. It is suggested you have your clock oiled every 3 years and cleaned every 8. By nature, some of the grandest clocks of all are very large in size. Grandfather Clocks and large Wall Clocks can be almost impossible to transport. The Clock Doctor makes house calls to the entire state of Arizona, bringing our knowledge and expertise to you. We can come to your home and repair your clock as well as service your clock or perform any routine maintenance it may require. Moving your grandfather clocks or other larger clocks require special attention. At Clock Doctors, we can move a clock for you correctly we can help set it up. 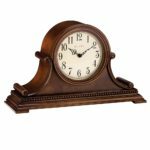 By utilizing our clock moving services, your clock gets relocated, it will also be installed and serviced in it's new home.